Hello from Portugal! | Jacqueline Ryan Vickery, Ph.D. This trip has confirmed what I always suspected to be true: I absolutely love traveling by myself! I spent three wonderful days exploring Lisbon and really falling in love with the city. Only those who know me well can appreciate this next statement, but I’m proud to say I did not get lost once the entire time I was in Lisbon! On the one hand this is very exciting because I’m notorious for getting lost even in my hometown, and Lisbon (like most European cities) is not an easy city to navigate. However, on the other hand, this really just proves that I don’t get lost because I lack any sense of direction, but rather I get lost simply because I never pay any attention to where I’m going…sigh, it’s true. But, I’m glad to know I do have a sense of direction when I actually chose to turn on that part of my brain that otherwise snoozes while I aimlessly wonder around neighborhoods lost in my own thoughts. One of the things I really appreciated about Lisbon is that the people of Lisbon love Lisbon and they want you to love Lisbon as well. I went on two walking tours while I was there and both my tour guides went on and on about how much they love the city, as did several other people I met while there. 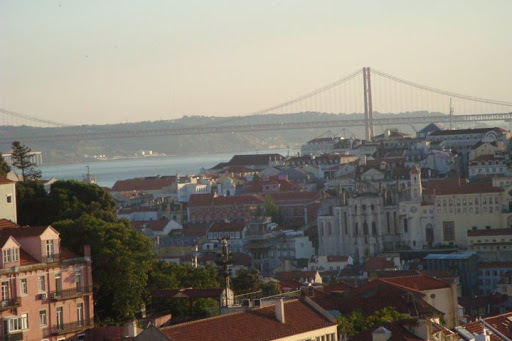 Lisbon’s history is very visible throughout the city, from architectural styles, to the layout of the streets and neighborhoods, the monuments, the food and music, etc. I learned so much about Portuguese and Lisbon history which also deepened my appreciation for the city and culture. 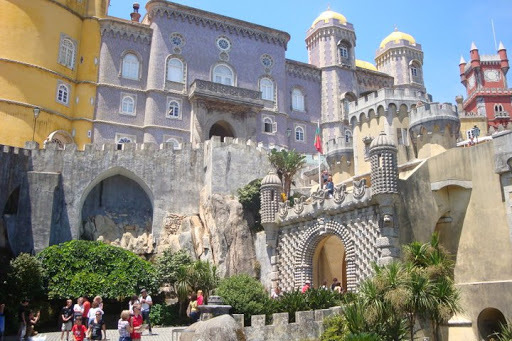 I crammed a lot into my three days there – fado show, tapas bars, lots of codfish, vinho verde, ginjinha, pastries galore, funicular ride, trolley ride, ferry ride, lots of metro rides, art museum, palaces, cathedrals, castles, and parks! I really would’ve liked to have had one more day to visit the beach, but I just ran out of time. After three days of traveling alone I had thought that I’d be getting lonely or bored of being by myself, but that wasn’t the case at all; I was never bored or lonely. It probably helped that my tour guides were so friendly and one of them actually took me out to Barrio Alto (Lisbon’s nightlife and bars) one night. Also I had lovely chats with the servers when I was eating and met some interesting people. As much as I do enjoy traveling and experiencing new places with friends and family, I hope to take another vacation alone sometime. Now I’m in Porto, I arrived Sunday evening. It’s been very interesting meeting people at ISDT who are from all over the world – Columbia, Egypt, UK, Italy, Canada, etc. The presentations have been thought-provoking. To a certain extent academia is on the peripheral of the conversations, as many of the participants are journalists, activists, etc., which has provided some interesting perspectives not always available within academia. The schedule is planned in such a way that we have a lot of free time in the afternoons to network, workshop, and plan “non conference” affinity sessions. Of course it also gives us the opportunity to explore Porto a bit. I’m glad I’m staying an extra day after the conference though since there are many things I would like to do here that I simply won’t have time to do during the week. I look forward to the contemporary art museum and touring the port lodges on the other side of the river. I’ve been lucky in that I’ve had pretty much perfect weather since I’ve been here (highs in the mid-80s, lows in the 60s); it’s been a wonderful reprise from the awful Texas heat. Hopefully more updates later in the week. ← Portugal here I come!